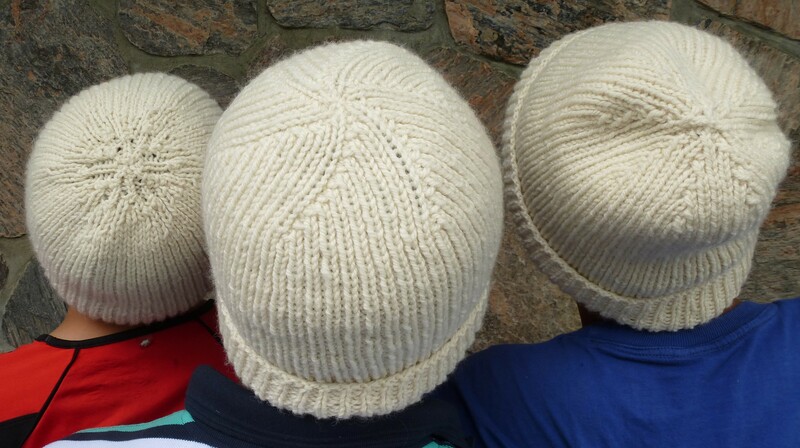 This shows three very simple hats made with knit 1, purl 1 rib. 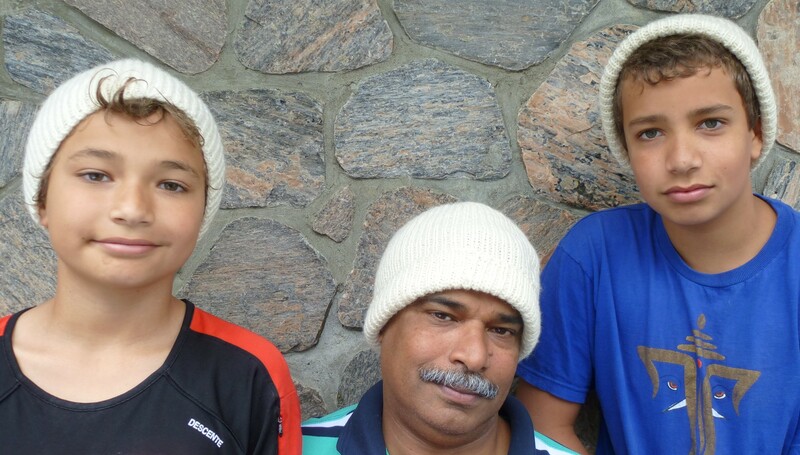 One has no brim, the other two a simple folded brim. The difference lies in the decreasing at the top. The one in the middle uses the simple spiral I explained before. The hat on the right uses a stacked double decrease. In this one, you do a slip one, knit 2 together, pass slipped stitch over, or slip one purl 2 together, pass slipped stitch over (depending on whether you are getting rid of a k1, p1, k1, or a p1, k1, p1) in the places that you decrease. Every 4th row, you do a decrease, using the same middle stitch each time. For the hat on the left, I unfortunately did not make notes (because I thought it looked like a mess and didn’t think I would want to repeat it). This one has double decreases which, instead of staying separate, converge on each other further up the hat. Simply by changing the placement of the decrease, you get very different looking tops on the hat. This entry was posted in knitting techniques and tagged knitted hat, knitting, Knitting and Crochet, Patons Classic Wool on December 6, 2013 by gillianknitter. I like the look of the one on the far right (in the first picture).